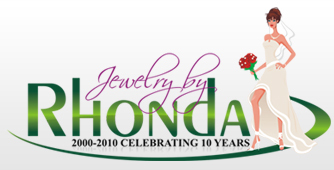 WELCOME TO JEWELRY BY RHONDA! Freshwater Pearl Sterling Silver Bridal Jewelry, Bridesmaid's Jewelry, Calla Lily Jewelry, Wedding Hair Jewelry and more! Sterling Silver Bridesmaid Charm Cake, Wedding Cake Pulls, New Orleans Cake Charms, Cake Charm 6-Packs and more! Wedding Cake Toppers, Monogram Wedding Cake Toppers, Figurine Wedding Cake Toppers, Wedding Cake Jewelry and more!